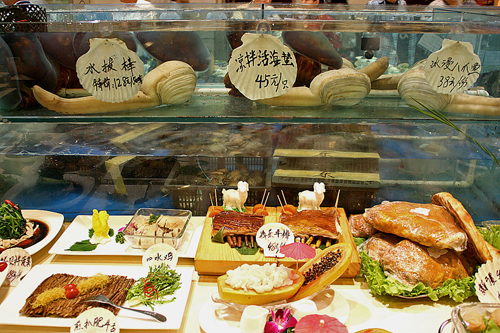 Alive and Flipping:The Dalian Seafood Restaurant, Beijing. 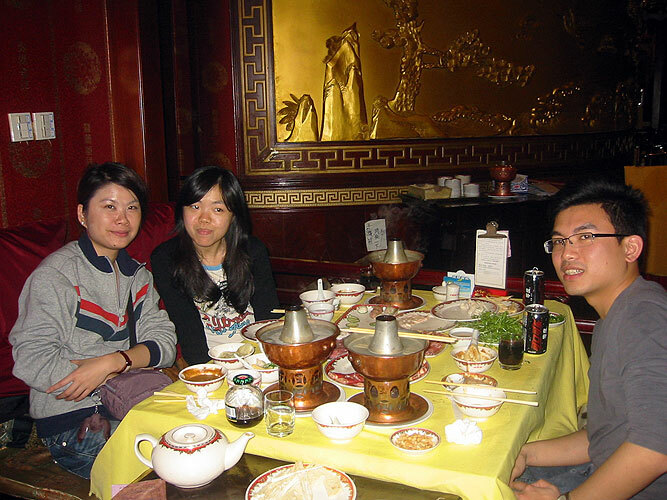 The Dalian Seafood Restaurant, Beijing. It was only a Wednesday night, but the place was heaving. The smartly-uniformed waitress told us we were 4th on the waiting list. My friend David, who has been working in Beijing for several years, said that it was worth the wait and that, anyway, tables moved fast here. He was right on both counts; 10 minutes later we were assigned a table and told to go and choose our meal from the magnificent displays and amazing fish tanks. The Dalian Seafood Restaurant in the Chaoyang district, almost directly opposite the huge Landao Shopping Centre, must be one of the great restaurants of Beijing. It has certainly made it onto our list of favourites. 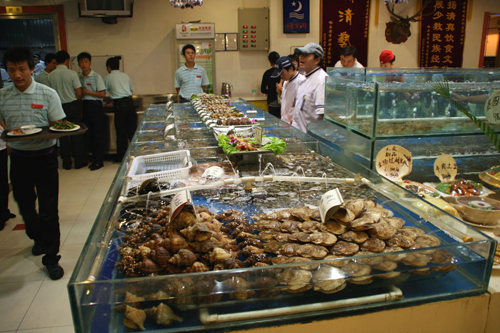 If you are a lover of fresh seafood and fish, as we are, then this has to be one of the best bargains in Beijing. Everything looks and smells as if it has just been plucked straight from the sea. Strangely enough it is actually a Muslim run enterprise but alcohol flows freely. 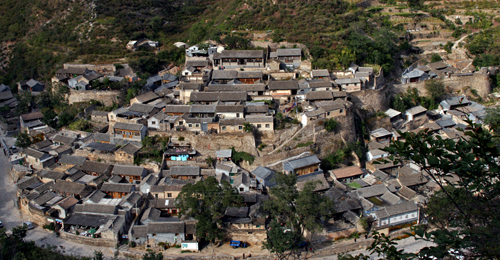 Chuandixia: a small stone village some 60 kilometres from Beijing. It is extremely photogenic and the surrounding countryside offers ample trekking possibilities. 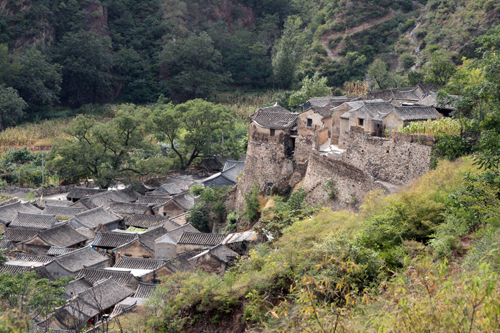 Villagers have cottoned on quickly to Chuandixia’s tourist potential and have started opening simple hostels and restaurants. 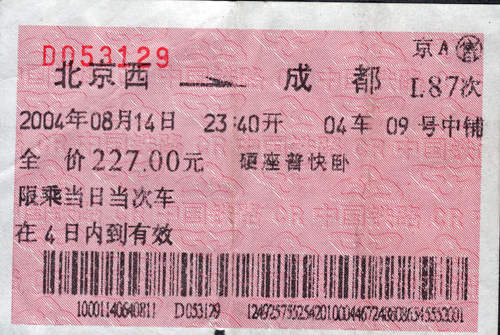 As a result, there is now a 20 Yuan entrance ticket and a small coach park at the entrance. However, it’s touch and go as to whether Beijing residents will take to this place. The ones we went with, couldn’t see what all the fuss was about: “Everything is old and like it was 20 years ago”, they complained. The Great Wall Marathon is becoming an increasingly popular event. People run this gruelling race for various motives. Some do it for professional reasons, others for charity and others just to test themselves. Fancy doing it? Take a look at a couple of Youtube videos to get a taste of it. 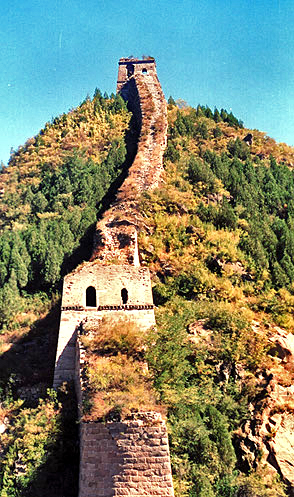 The next Great Wall Marathon is on the 16th of May 2009. El restaurante Manfulou está situado en el corazón de Pekín, a pocos minutos caminando de la ciudad prohibida y en una zona donde aún se puede pasear por los hutong, los callejones tradicionales de muros grises tan característicos de la capital china. La suntuosa decoración interior de Manfulou se inspira en los palacios de la China imperial. Tanto en la planta baja como en el primer piso, (al que se accede en ascensor) hay amplios salones y acogedores reservados con decoración tradicional china. Una de las sorpresas que reserva Manfulou es su espectacular terraza con vistas directas al parque de Beihai, y en especial a la pagoda blanca que corona este antiguo parque imperial. 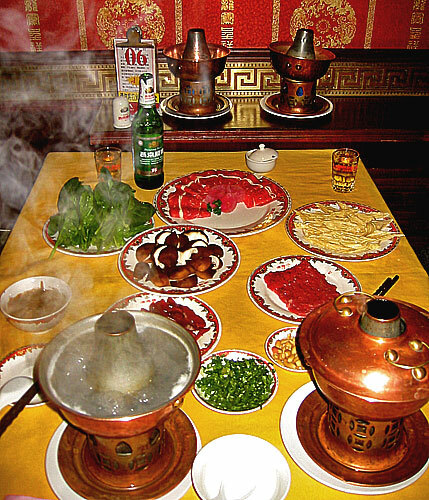 Manfulou se especializa en huoguo, o “caldero mongol”, uno de los platos más típicos de Pekín. Pero más que un plato en sí, el huoguo es una manera de comer. Consiste en una olla llena de agua con determinados condimentos que se pone sobre la mesa al fuego hasta que hierve. Entonces se van introduciendo los ingredientes crudos en la olla para cocinarlos al momento. 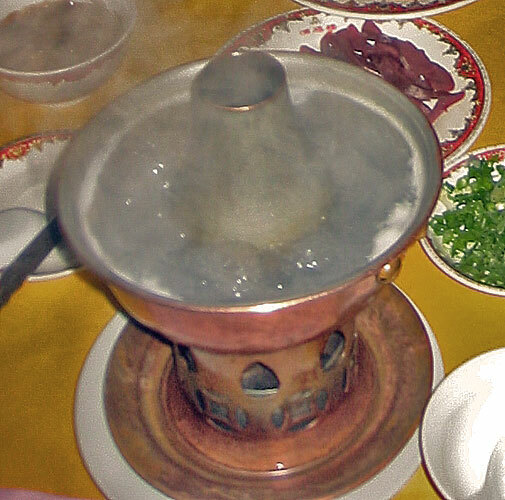 Una vez hervidos, se sacan de la olla, se mojan en una salsa especial (la tradicional es una salsa de sésamo a la que se añade perejil y cebollino chino picado) y ya están listos para comer. Las ollas de Manfulou son las tradicionales de cobre, aunque en lugar de una gran olla por mesa para compartir son pequeñas ollas individuales. Los ingredientes que se pueden comer de esta manera son muy variados: todo tipo de verduras, setas, tofu, y, sobre todo, carne de cordero y ternera. 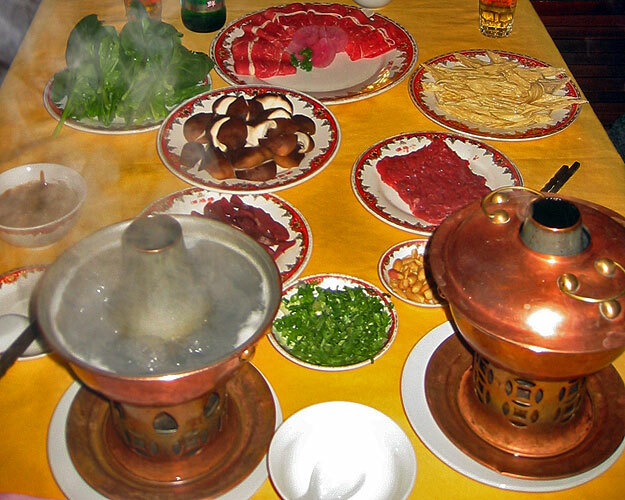 Al comer huoguo, lo mejor es hacer una selección equilibrada de ingredientes, pidiendo carne, verduras, setas, tofu, bolas de pescado o marisco e incluso fideos chinos. La calidad y frescura de la materia prima y la selección del producto son la insignia de Manfulou, que ofrece carnes de cordero y ternera procedentes de lugares famosos por sus pastos, como Mongolia Interior e incluso Nueva Zelanda. La carne es fresca, o congelada, pero siempre cruda para hervirla en el huoguo. La cocina china es famosa por aprovechar todas las partes del animal. De hecho, para los no escrupulosos, el corazón de cordero cortado en tiras es una de las elecciones más recomendables para el huoguo. Otra de las estrellas de la carta son las bolas frescas de calamar, elaboradas artesanalmente y sin fécula. La excelente calidad de sus productos, su espectacular decoración y su ubicación hacen de Manfulou una parada obligada para los que quieran captar la esencia de la cultura culinaria pekinesa. 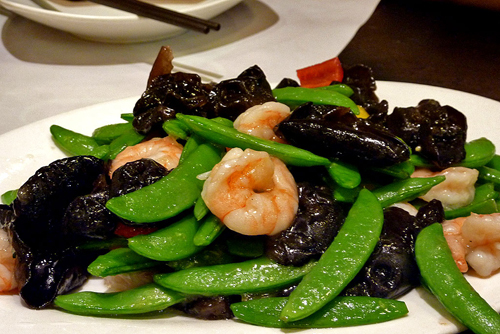 Platos recomendados: Huoguo (caldero mongol). Ingredientes recomendados (para el huoguo): Cordero lechal fresco, corazón de cordero cortado en tiras, ternera grasa, bolas frescas de calamar y setas negras chinas (xianggu). It’s not often I make forecasts on what will happen in China, usually they leave you with egg on your face. However, this time I’m going to venture that China is going to face a big post Olympics hangover. Below are my thoughts. There will be big rise in Inflation due to the governments efforts to artificially keep inflation in check before the Olympics will be removed. As a consequence interests rates will have to rise to keep inflation in check. 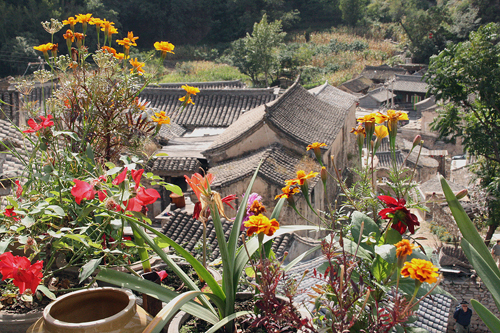 Even long before the Olympics there has been a housing boom in Beijing and other cities. After the Olympics thousands of hotel rooms are going to converted into flats adding to an already saturated market. All ready more than 50% down on its peak, it will continue to fall as inflation rises and global growth slows down. Many small investors are being seriously burned. 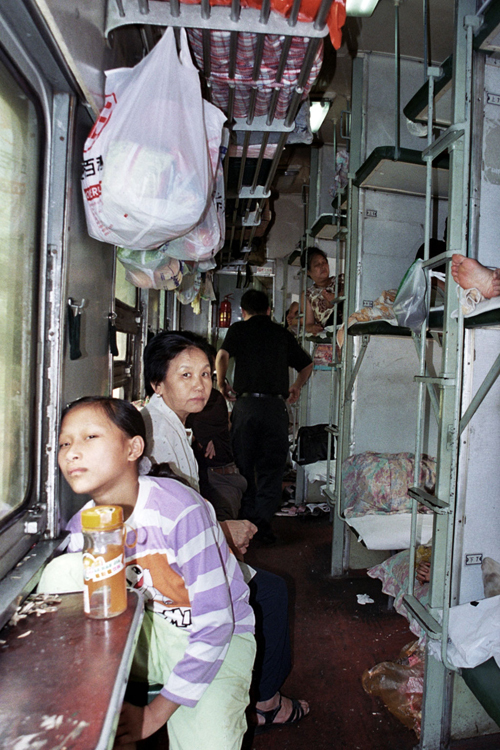 China’s industrial model based on low wages appears to be stalling. In the industrial heartland of Guangdong factories are having to deal with a number of increasing problems that are cutting profit margins and seeing record factory closures. Dislocation by foreign and Chinese companies to countries with lower costs. Stepping out onto the concourse outside Beijing railway station into the sharp winter sunlight we saw the number 20 bus pulling in. “That’s the one!” I shouted to Margie. We stormed it with the rest of Beijing. The descending passengers didn’t stand a chance as the mob rushed the opening doors. I tried to use my backpack to annihilate any opposition in my quest to get a seat. However, despite my efforts, the old ladies with their jabbing elbows still managed to get on before us. But we did get our bums on those precious seats in the end. Two foreign tourists getting off the bus looked at us in total shock and disgust. 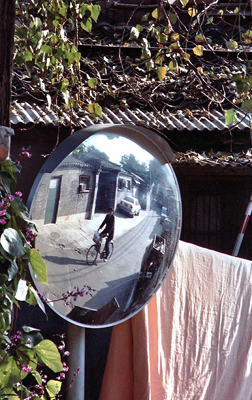 But, hey, we had already been out in Western China for 2 months, and when in Rome… Welcome to Beijing 1990. It’s a long time ago, but Margie kept a diary, so the memories come flooding back every time we reread it. 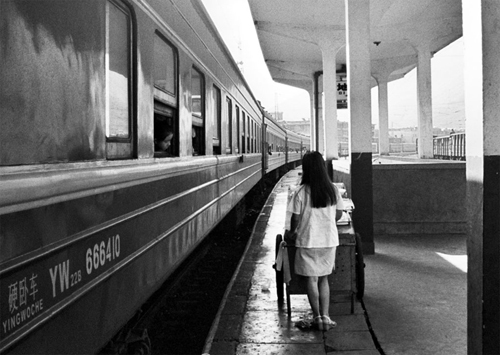 I remember a cold, hazy city. The sun, though occasionally glaring, was more often weak and blotted out by a polluted sky (worse than now). When the clouds covered the sky, snow sometimes fluttered in the air, but mostly melted before it had time to settle. 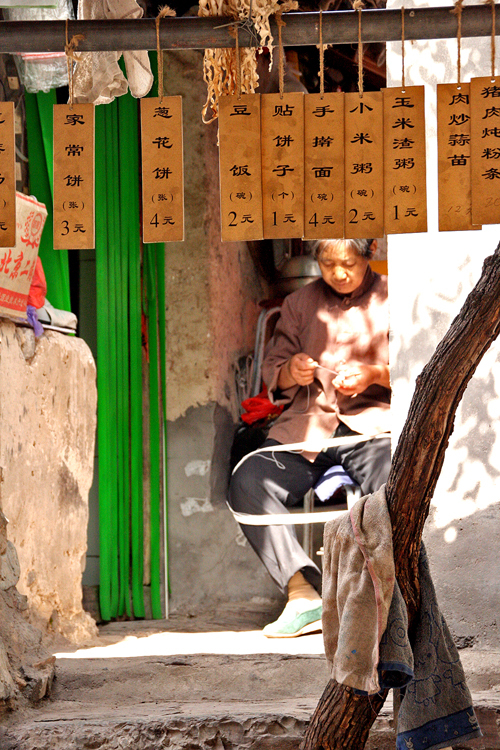 The people looked pretty poor, though there were some inklings of an incipient urban sophistication we hadn’t seen elsewhere in China. Something was happening but we couldn’t quite put our fingers on it…..
COHRE ( COHRE – Centre On Housing Rights and Evictions) claims that the Beijing Municipality has forcefully evicted more than a one and a quarter million Beijing residents to make way for the Olympic Games in 2008. 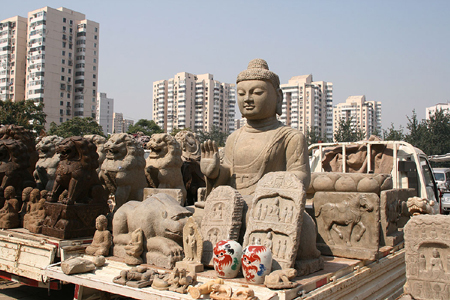 “The Beijing Municipality and BOCOG have violated the housing rights of over 1.25 million residents of Beijing in pursuit of relentless economic growth, including the hosting of international showpieces such as the Olympic Games. 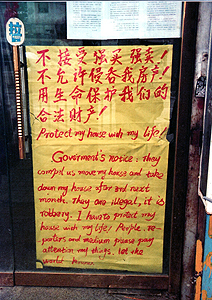 The mass displacements and evictions implemented in Beijing are a clear case of the illegitimate use of evictions as a tool of development by the Beijing Municipality and BOCOG, in a bid to transform the city into a ‘world-class metropolis’ fit to host the ‘best Olympic Games ever.’ Despite courageous protests inside China, and condemnation by many international human rights organisations, the Beijing Municipality and BOCOG have persisted with these evictions and displacements. 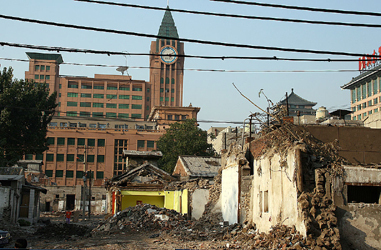 COHRE’s research has shown how the awarding of the Olympic bid to Beijing by the IOC has been used as a pretext to ride roughshod over rights of affected residents,”. 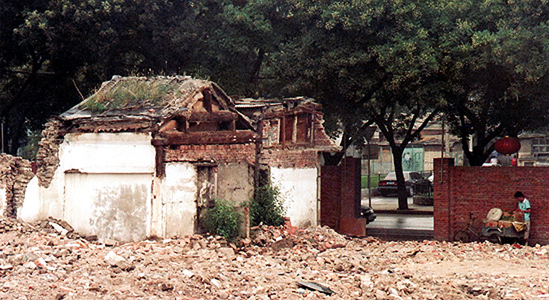 Apart from the forced evictions it should also be noted that hundreds, if not thousands of Beijing’s historic hutongs (old streets and home to the traditional courtyard houses), palaces and temples that have been reduced to rubble in order to be replaced by wide featureless avenues, souless shopping centres and a an opera house that locals call the Rotten Egg.